Gameplay e download no blog do canal do jogo The King of Fighters Zillion 2018 com Tag System (KOFZ Ultimate Edition by Felipe B. Silva), feito com base na engine M.U.G.E.N. 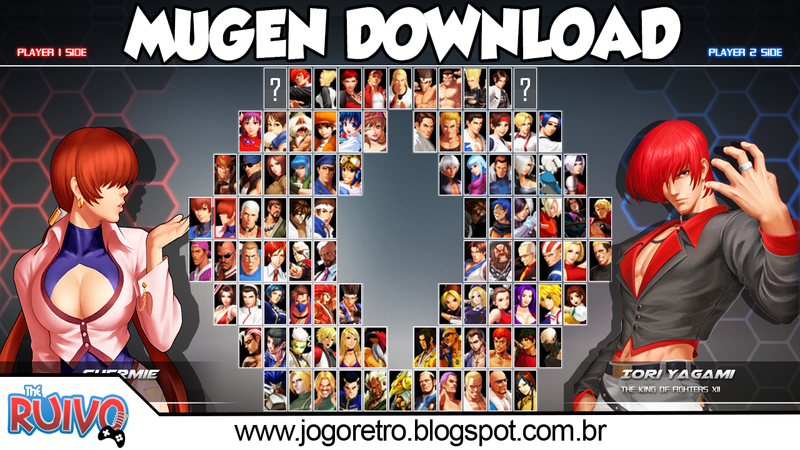 O jogo The King of Fighters Zillion 2018 contém diversos personagens da SNK como Kyo Kusanagi, Benimaru Nikaido, Goro Daimon, Iori Yagami, Mature, Whip, Terry Borgard, Andy Borgard, Joe Higashi, Ryo Sakazaki, Robert Garcia, Yuri Sakazaki, Takuma Sakazaki, Mai Shiranui, May Lee Jinjyu, King, Shingo Yabuki, Yashiro Nanakase, Shermie, Chris, Athena Asamiya, Sie Kenson, Chin Gentsai, Kim Kaphwan, Chang Koehan, Choi Bounge, Vanessa, Seth, Ramon, Kula Diamond, K9999, Angel, Leona Heidern, Ralf Jones, Clark Still, Ryuji Yamazaki, Blue Mary, Billy Kane, Alba Meira, Heavy D!, Lucky Glauber, Brian Battler, Heidern, Saisyu Kusanagi, Geese Howard, Wolfgang Krauser, Rugal Bernstein, Adelheid Bernstein, Igniz, Zero, Krizalid, Jhun Hoon, Bao, Li Xiangfei, Kasumi Todoh, Hinako Shijou, Ryuhaku Todoh, B.Jenet, Ash Crimson, Rock Howard, Goenitz, Orochi, Duolon, Shen Woo, Elisabeth Blanctorche, dentre outros. The King of Fighters Zillion 2018 traz diversos personagens equilibrados, belos cenários, trilha sonora de qualidade e uma dificuldade mediana, em que evolui conforme o modo arcade. O jogo ainda oferece a modalidade Tag System, ou seja, dá para trocar de personagem durante a luta.